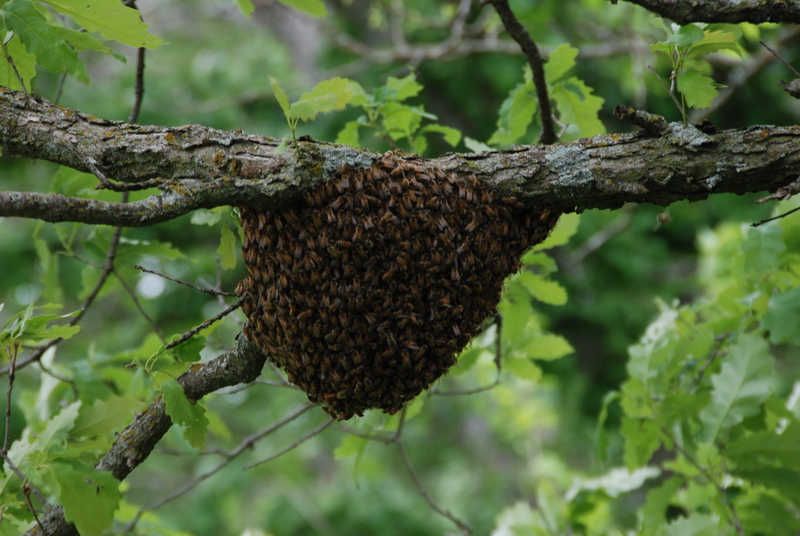 While mowing I saw a swarm in one of the trees back by the bee hives. I go through the process of what I did to try and capture them on the Honey page. This entry was posted in Uncategorized and tagged bees, hive, honey, swarm. Bookmark the permalink.